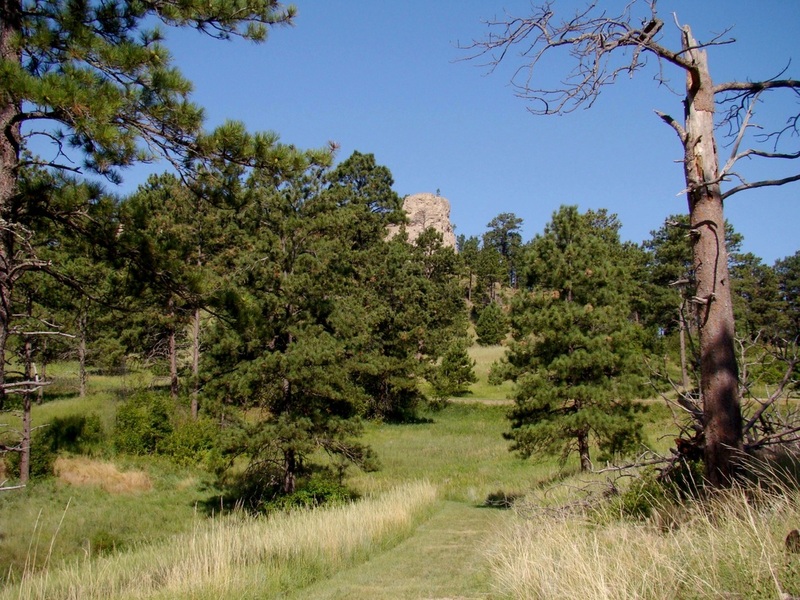 Since Pine Cone Butte sits across the road from the Pine Cone Picnic Shelter at Chadron State Park, it is very easy to hike up to the base and explore. 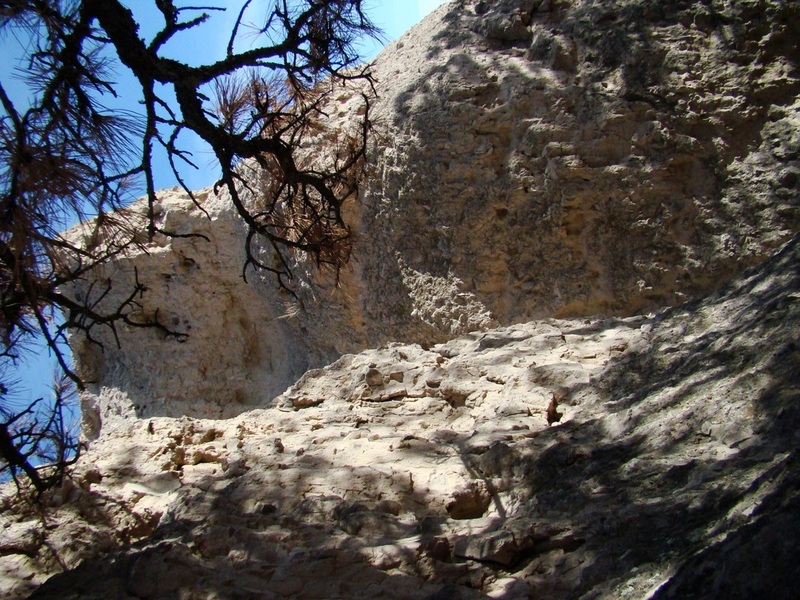 The short trail up to the base from the state park roadway leads to a couple of climbing routes to the top. 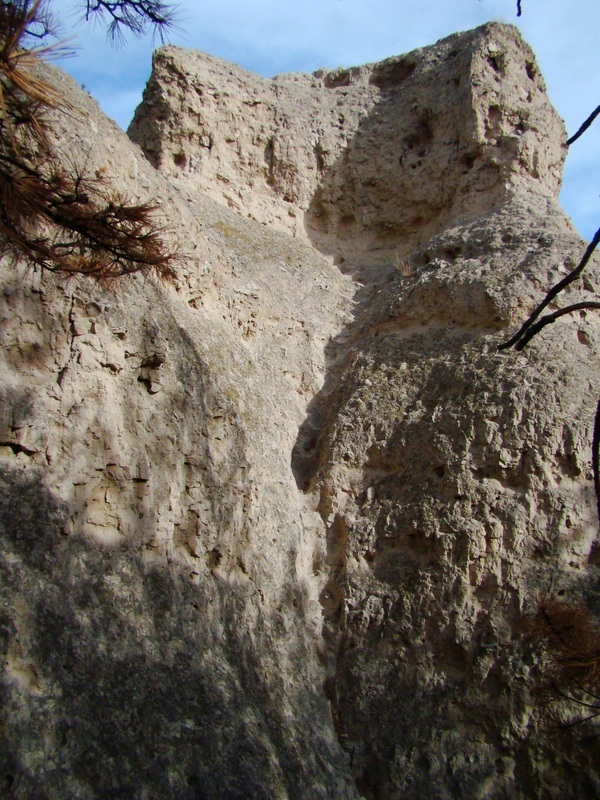 It is very apparent from the hand holds worn into the rock, that this butte has been climbed many times during the 90+ years of the state park's existence. 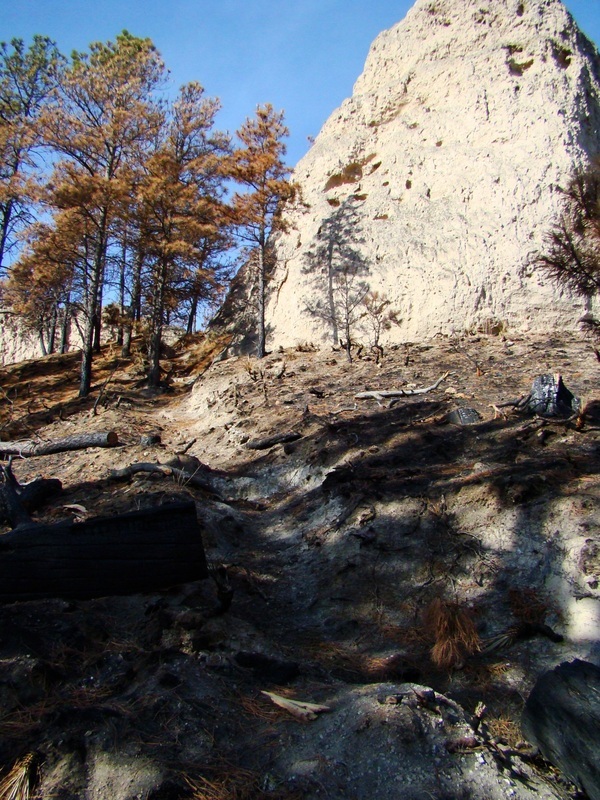 During the major forest fires of 2012, many of the trees around the lower slopes of the butte were fire damaged. 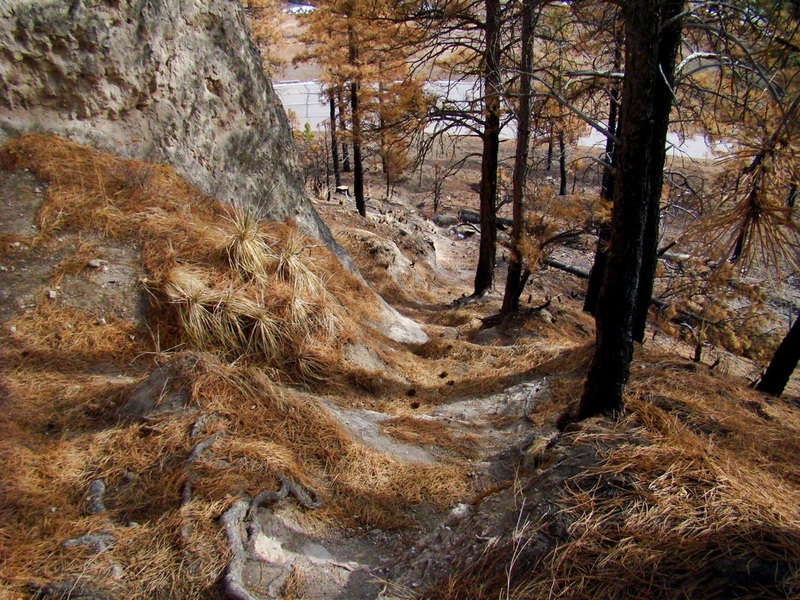 Some were lost, while others look like they may yet survive. 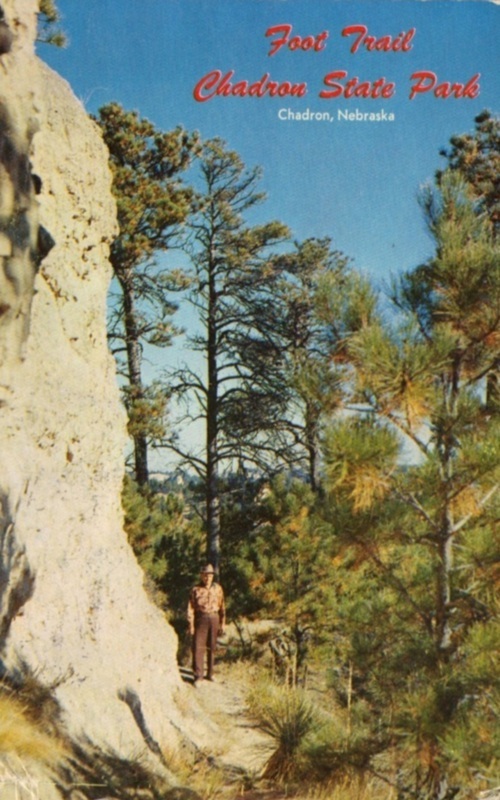 Years ago, some people called the butte "Future Butte", and a postcard was even issued with that name attached (see gallery below). Pine Cone Butte sits on the end of a ridge that winds around through the central part of the state park. Further along the ridge, hikers will travel by Split Rock Butte. 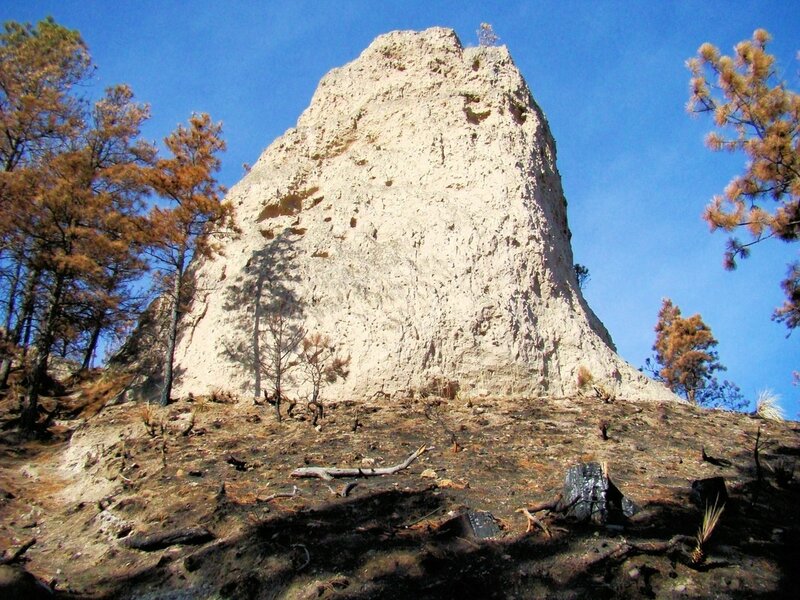 Further yet, one of the buttes, situated across from the Sawmill Shelter, has a small rock arch at the top. 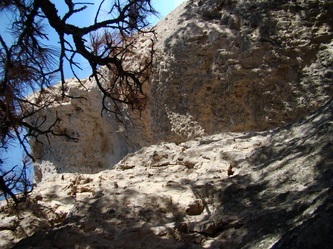 This is the short path down to the road and parking area, from the rocky base of Pine Cone Butte. This is the short path up to the base of Pine Cone Butte. 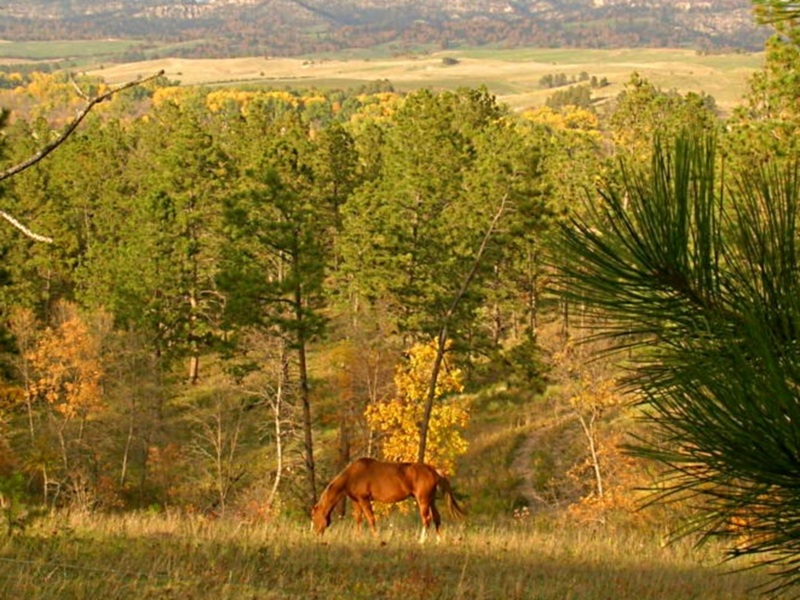 One of the state park's horses grazing across the roadway from Pine Cone Butte. 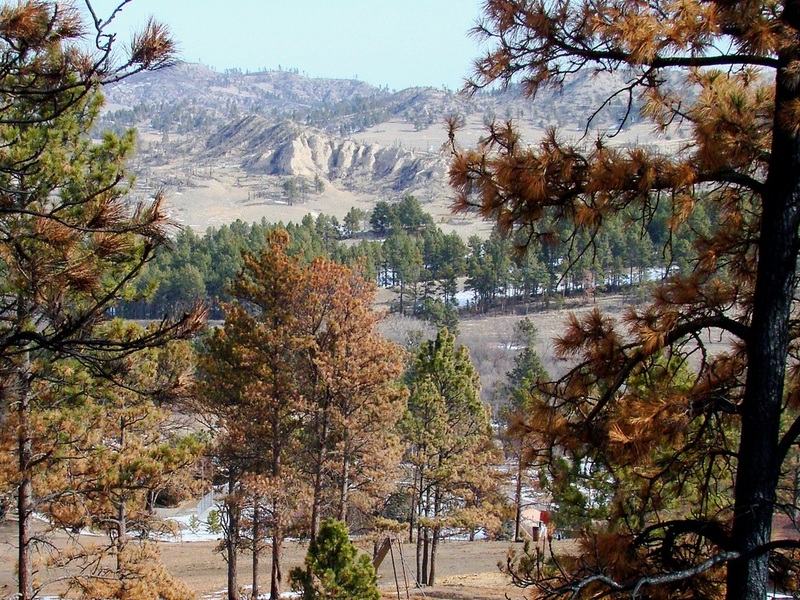 Pine Cone Butte can be seen "peeking" behind the trees along the Cabin Trail. 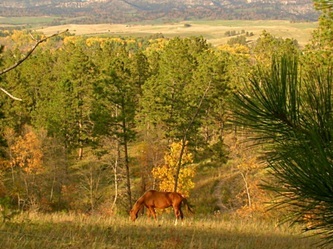 This photo was taken before the 2012 fires destroyed most of the trees in this area. 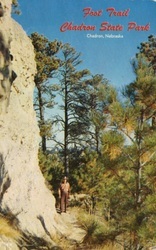 This is another old Chadron State Park postcard from the 1950's that shows the base of Pine Cone Butte. This is the uppermost ledge on the route to the top. 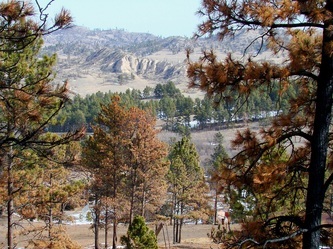 This is a view looking northeast from partway up Pine Cone Butte. This is the final route up to the summit, carved into the rock over decades of use.